A breakfast nook is a great way to create a cozy and intimate spot in a kitchen. 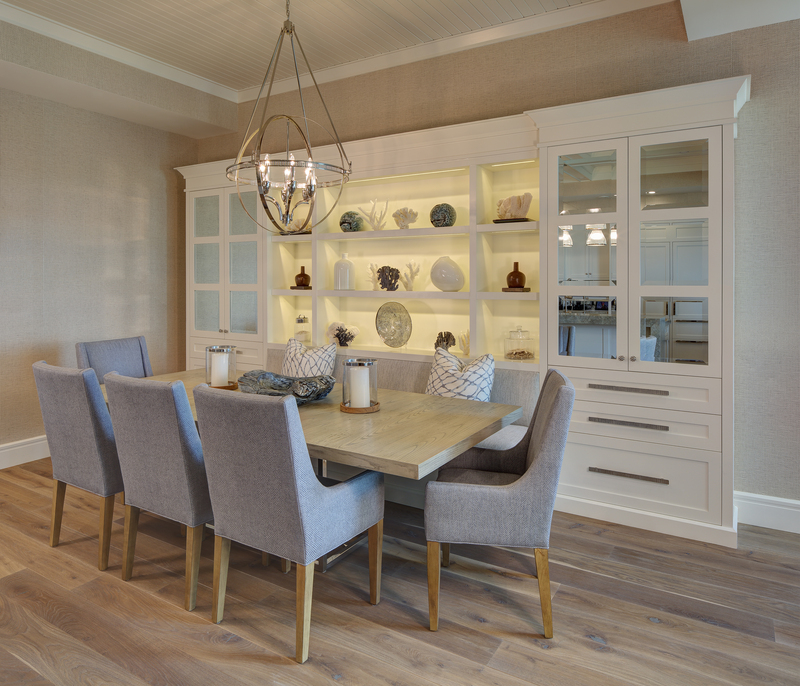 A conversational space that is more compact than a dining table, a breakfast nook feels up close and personal. This is a functional design allowing you to kick your feet up to read the morning paper or help your kids out with their homework. For ultimate comfort, make sure the pitch of the back cushions is correct. No one wants to sit totally upright! A breakfast nook can turn any boring wall or window into a focal point of your space. Add a curved or rounded bench into a bay window to anchor your room. 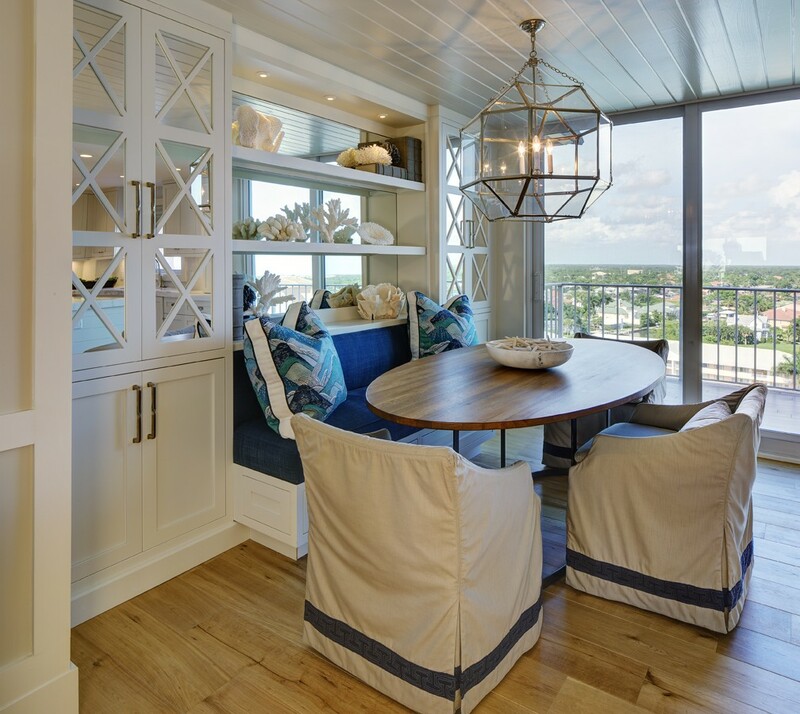 Or, try a free-standing breakfast nook with custom built-in shelves to add architectural detail. This is a great tool for creating extra storage in a tasteful manner. 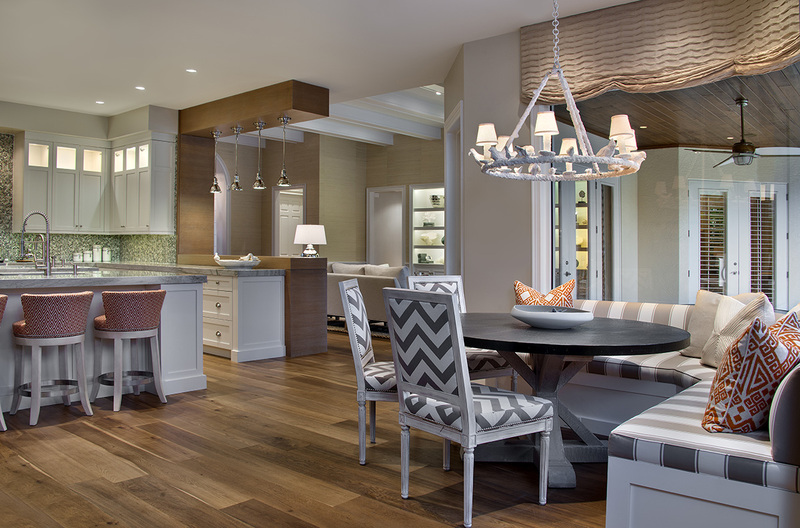 Great for parties and entertaining, a breakfast nook can comfortably sit more people in a room. This is an easy solution to double seating space without taking up too much of your floor plan. Keep in mind the knee to knee space when selecting a table to ensure guests can get in and out comfortably. A simple pedestal table works best. What do you like best about breakfast nooks? Hi Ashton, thanks for calling us “established”! We are still working out some kinks but overall I would encourage you to keep blogging on a regular basis so repeat readers will come back. A good blog template is also important. We use wordpress and find it very user-friendly. Hope that helps! Thanks so much, Drew! Enjoy! Howdy would you mind letting me know which hosting company you’re utilizing? I’ve loaded your blog in 3 different browsers and I must say this blog loads a lot quicker then most. Can you suggest a good internet hosting provider at a honest price? Kudos, I appreciate it! Hi Lupe, we use Big Commerce for our website. Thanks for the compliment! Thanks for one’s marvelous posting! I actually enjoyed reading it, you happen to be a great author.I will be sure to bookmark your blog and will eventually come back later in life. I want to encourage one to continue your great posts, have a nice day! Thank you so much Annamae! We appreciate your kind words.